Drawing from her experience as the first woman director general of MI5, Stella Rimington gives us a story that is smart, tautly drawn, and suspenseful from first to last. An announcement is made at a meeting of the British Intelligence Joint Counter-Terrorist group: "The opposition may be about to deploy an invisible." An "invisible" is CIA-speak for the ultimate intelligence nightmare: a terrorist who is an ethnic native of the target country and who can therefore cross its borders unchecked, move around the country unquestioned, and go unnoticed while setting up the foundation for monstrous harm. Intelligence officer Liz Carlyle has had to prove herself in countless ways as she's come up through the ranks of the traditionally all-male world of Britain's Security Service, MI5. But this announcement marks the start of an operation that will test all her hard-won knowledge and experienceand her intelligence and courageas nothing has before. 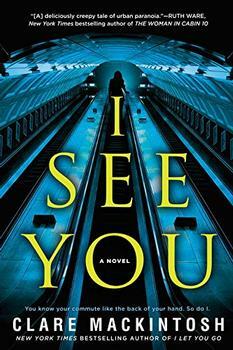 Having analyzed information from her agents, she realizes that there is indeed an imminent terrorist threat. She may even have the invisible's point of entry. But what she cannot draw out of all the "chatter" is the invisible's identity and intended target. With each passing hour, the danger increases. As the desperate hunt continues, it becomes clear that Liz's intuitive skills, her ability to get deep inside her enemy's head, are her best hope for tracking down the terrorist. But will that be enough? And can she succeed in time to avert a disaster? Drawing from her experience as the first woman director general of MI5, Stella Rimington gives us a story that is smart, tautly drawn, and suspenseful from first to last. At Risk is a stunning debut novel that plunges us headlong into today's shadowy and fever-pitched battle between terrorism and Intelligence. With quiet finality, the tube train drew to a stop. A long hydraulic gasp, and then silence. For several moments no one in the crowded carriage moved. And then, as the stillness and the silence deepened, eyes began to flicker. Standing passengers peered worriedly through the windows into the blackness, as if hoping for some explanatory vision or revelation. They were halfway between Mornington Crescent and Euston, Liz Carlyle calculated. It was five past eight, it was Monday, and she was almost certainly going to be late for work. Around her pressed the smell of other people 's damp clothes. A wet briefcase, not her own, rested in her lap. A perfectly enjoyable thriller but without the edge of a true master such as Le Carré. Still, considering Rimington's background (as the former Director General of MI5) and that this is her first foray into fiction, she is definitely one to watch. (Reviewed by BookBrowse Review Team). The first woman director general of Britain's MI5, Rimington speaks smartly about workplace issues while ratcheting the tension high in her authoritative debut thriller...She is open about having had an assist with the structure of the book, but the voice rings true, and she keeps faith with a genre she clearly venerates. Rimington, former director general of Britain's security service MI5, introduces us to Liz Carlyle, a young, hip, and incredibly intuitive counterterrorism intelligence officer....Women authors and protagonists are rare in the British intelligence genre, and this debut has series potential. Their day-of-the-jackal search for Faraj and Lucy, played out against the violent and resourceful countermeasures of their targets, doesn't exactly break new ground in the genre. Yet once she sets up her irresistible situation, Rimington controls the game of hunters and hunted like-well, like a master of real-life spycraft. New wine, expertly crafted, in old bottles. This was the best book I have ever read. People of all ages will love this book because of its stunning content. The author should be very pleased with herself. According to a BBC Interview with Rimington, there is no exact equivalent to MI5 in the USA - the nearest equivalent is what used to be called the Foreign Counter Intelligence arm of the FBI. She goes on to say that "MI5 is a civilian intelligence service with no powers of arrest or any other police powers, but a lot of investigative powers. For example, tbey have the power to intercept communications, follow people around, and search houses and cars. Its job is to help to protect the country against serious threats to our national security by generating intelligence, assessing it and taking action on it to prevent the harm intended."